Windows 10 is on its way to becoming the most popular operating system, according to the latest reports. It’s been installed on more than 200 million devices, just six months after its debut. At this rate, it has blown off all of Microsoft’s previous operating systems. Even when the largest part of the PC market is declining, the increased rate of adoption of the Windows 10 is surely a positive sign for the company. Windows 7 used to be the fastest adopted operating system. After its release in the fall of 2009, it saw strong demand in the months immediately following its debut and had received praises from critics and experts. By July 2010, Microsoft had sold more than 175 million licenses, making it the fastest adopted version of Windows at that point of time. The successor, Windows 8, however, had not received the similar reception. In its first 8 months, Microsoft sold just 100 million licenses of the operating system and didn’t break the 200 million mark until more than a year after its debut. However, Windows 10 again became object of positive reviews. It was launched last July, and just six months later was running on more than 200 million machines. 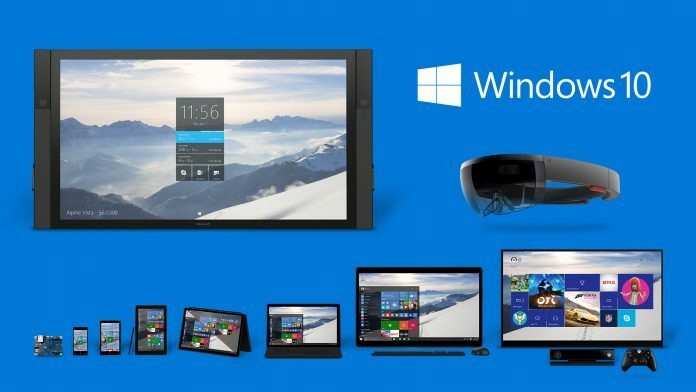 CEO Satya Nadella underscored Windows 10’s rapid adoption, noting that it had grown 140% faster than Windows 7. Furthermore, research firm Gartner had also published its report on the Windows 10, stating that there is an ongoing decline in the larger PC market. Worldwide PC shipments fell 8.3% in the fourth quarter of 2015, which makes the growth of the operating system quite notable. Windows 10 is definitely on track for 1 billion devices, but, at the moment, according to a report by NetMarketShare, Windows 7 remains the most popular version of the OS. It powers about 52% of the traditional PCs currently in use, while Windows 10 is at second place with nearly 11% share.